Loomis' beautiful 300-acre campus is located at the confluence of the Farmington and Connecticut rivers in Windsor, Connecticut. Affectionately referred to as the Island, Loomis is within walking distance of the town’s center and its restaurants, banks, supermarket, pharmacy, public library, Amtrak train station, and other areas of interest. Connecticut’s capital city of Hartford and Bradley International Airport are less than 10 minutes driving distance, south and north of Windsor, respectively. Great shopping, movie theaters, and a variety of dining can be found within 15 miles of campus including Blue Back Square and the Center in West Hartford, the Buckland Hills Mall and movie theater in Manchester, and Westfarms Mall in Farmington. Student Activities schedules frequent outings to these destinations and others including Six Flags - New England. From Bradley International Airport, follow exit signs to I-91 south. Take exit 36 off I-91 south. Take a left onto Park Avenue (Route 178 east). Proceed to the end of 178 and take a left onto Route 159 north (Windsor Avenue). Follow Route 159 down the hill. At the first traffic light, take a right into Batchelder Road. Cross the causeway to enter campus. Take exit 36 off I-91 north. Take a right onto Park Avenue (Route 178 east). Proceed to the end of 178 and take a left onto Route 159 north (Windsor Avenue). Follow Route 159 down the hill. At the first traffic light, take a right into Batchelder Road. Cross the causeway to enter campus. Take Route 6 to Route 295 north to Route 6 west to Route 395 south to Route 2 west. Then take I-91 north to exit 36. Take a right onto Park Avenue (Route 178 east). 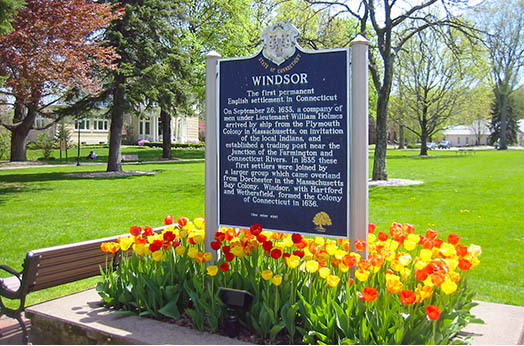 Proceed to the end of 178 and take a left onto Route 159 north (Windsor Avenue). Follow Route 159 down the hill. At the first traffic light, take a right into Batchelder Road. Cross the causeway to enter campus. Take exit 36 off I-91 south. Take a left onto Park Avenue (Route 178 east). Proceed to the end of 178 and take a left onto Route 159 north (Windsor Avenue). Follow Route 159 down the hill. From I-84 west: Take exit 61, I-291 west. Follow I-291 to I-91 north. Take exit 36 off I-91. Take a right onto Park Avenue (Route 178 east). Proceed to the end of 178 and take a left onto Route 159 north (Windsor Avenue). Follow Route 159 down the hill. The Loomis Chaffee School is easily accessible by car, train or air. The school is located close to I-91, just south of Bradley International Airport (BDL-Hartford/Springfield), and the Windsor, CT Amtrak Station is within walking distance of the school.